… a place where everybody will find an adventure. What to do in Gdynia? Go to Adventure Park Kolibki! We guarantee a full package of entertainment. If you want to organize an interesting event or meeting just take the opportunity and come to the biggest adventure park in Poland. 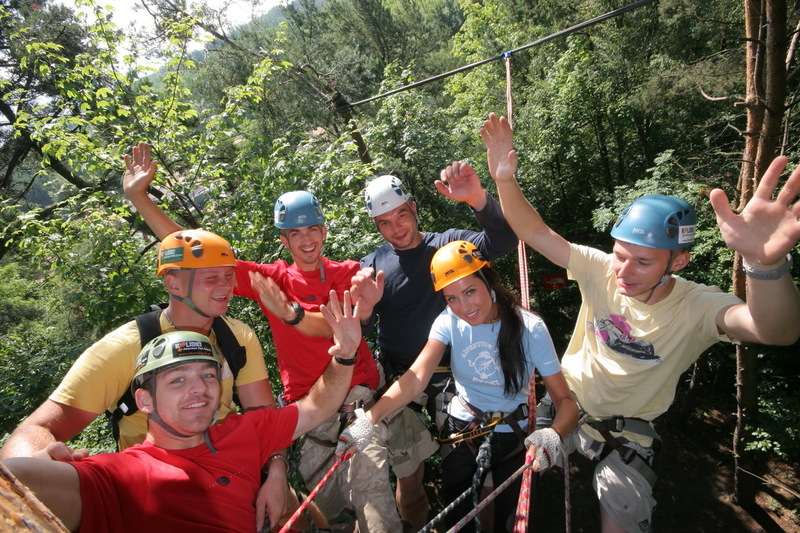 We prepared a wide offer of outdoor activities, which are disposed on few hectares of professionally adapted terrain. An interesting location and good communication are our additional advantages. In order to meet the expectations of all our guests and to make your stay more enjoyable we have a wooden hut for your disposal with a terrace and four picnic sites that accommodate from 30 to 500 people. Our qualified team is able to professionally deal with both a small group as well as a several hundred crew. We guarantee a fun and unforgettable experience.